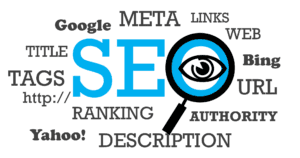 Search engine optimisation (SEO) is the practice of increasing the quantity and quality of traffic to your website through organic search engine results. You might think of a search engine as a website you visit to type (or speak) a question into a box and Google, Yahoo!, Bing, or whatever search engine you’re using magically replies with a long list of links to web pages that could potentially answer your question.That’s true. But have you ever stopped to consider what’s behind those magical lists of links?